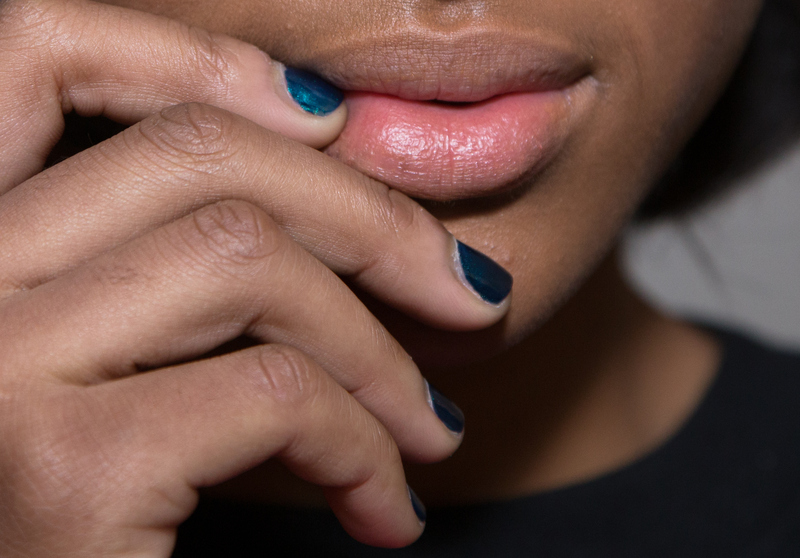 It seems way too good to be true, but you can actually help your nails grow while you sleep. Let's face it. There are people in this world who do nothing special to their hands at all and have these naturally long, strong nails that grow like weeds and rarely break. And then there are the rest of us — the beautiful unicorns who are too clumsy to prevent breaks, too nervous to stop biting and too obsessed with nail art to prevent splitting and peeling. We need extra help to get our nails to look healthy and Instagram-worthy. Your nails only grow about one millimeter per month, so changes to your nail care routine won't speed that up. What will happen is that healthier nails will chip, peel and break less, which will help you keep that new growth. Plus I'm into anything that I can get done while I sleep, so the thought of vastly improving the condition and length of my nails why I drool and dream about joining a sloth of bears (as their bear queen, no less!) seems like a win-win. While there are many steps in a great nail-care routine, you can actually get some great results if you just add a few easy steps to your bedtime routine to help your nails grow. If you're a night showerer, make sure to put on, at minimum, a base coat and let it dry. The shower softens your nails and the heat and soaps can strip them of moisture. I know you're trying to grow your nails, but you don't have to take off any length. A gentle file of just the very edges will smooth out any tiny cracks, splitting or tears (that you might not even be able to see). Tiny cracks can become big cracks or even tears and breaks, in your sleep. Moisturizing you nails and cuticles throughout the day is commandment number one in the nail care bible, but it's especially important to do it before bed. Your body does a lot of repair and healing in your sleep, and loses a fair amount of moisture. I use a two-step mothod where I apply a cuticle oil, then a thicker lotion on top of it to kind of seal the deal. I am a person who never remembers to take my vitamins or to drink anything without caffeine in it throughout the day. You need to keep hydrated and maintain good nutrition to have the best nails possible. Granted, muti-vitamins aren't a solution for a life filled with Taco Bell, they make me feel healthier. Making these things part of my nightly nail routine helps make sure I get it done. They make moisture retention gloves specifically designed to help keep your lotion and cuticle oils close to your skin and nails while you sleep. I got mine at one of those everything-costs-a-dollar stores. They look and feel silly at first but they made a huge difference in the condition of my hands, cuticles and nail length. You can use cotton socks in a pinch. All of these things combines, minus showering, take less than five minutes but deliver impressive results.